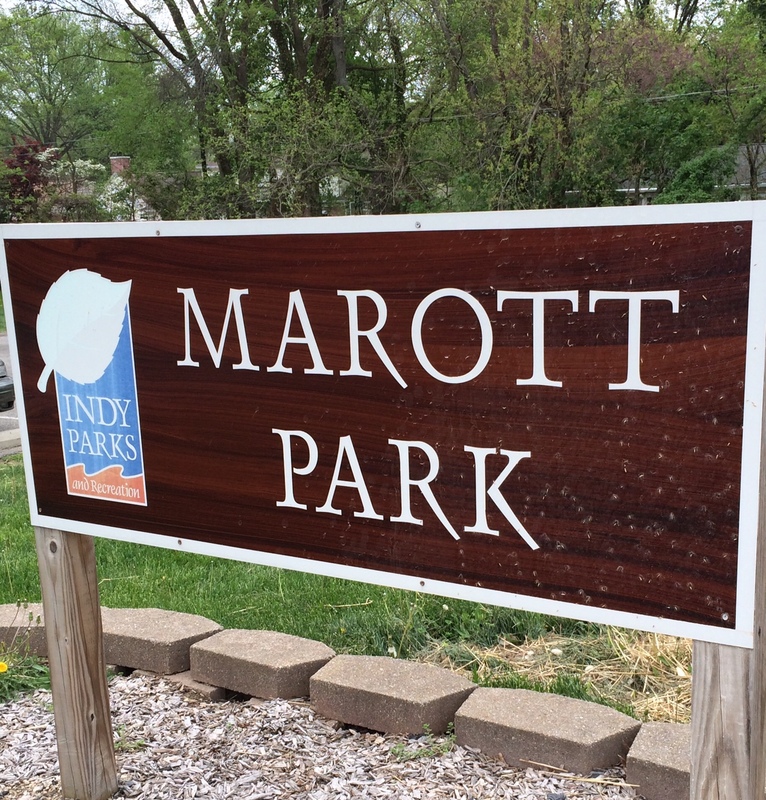 The Near Westside neighborhood is one of Indianapolis’s oldest and most well-established communities. 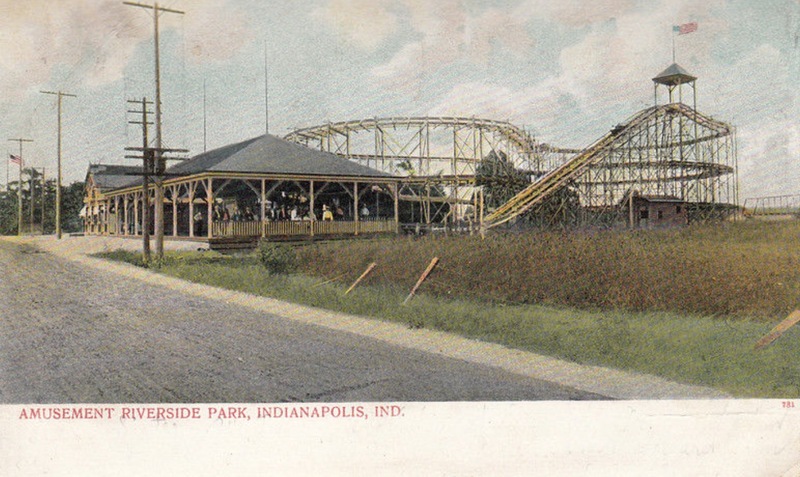 In its early days, it was largely a rural area, separated from the “big city” of Indianapolis by the White River. 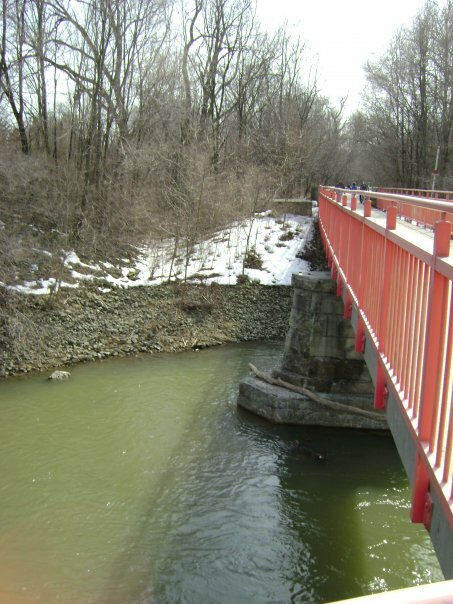 After the arrival of the Big Four Railroad in the mid-1800s and the Indianapolis Belt Railway in the 1870s, family farms gave way to industry. 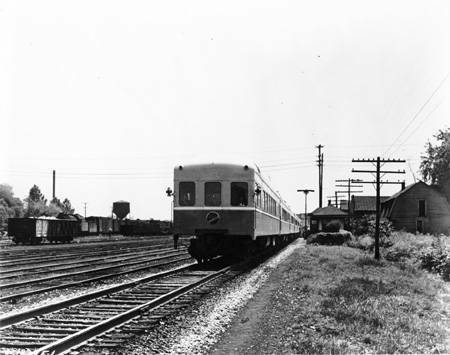 Foundries, mills, meat-packing plants, and other factories sprang up around the railroads. Plentiful jobs initially attracted immigrants from across Europe, followed by migrants looking to escape the Jim Crow South. 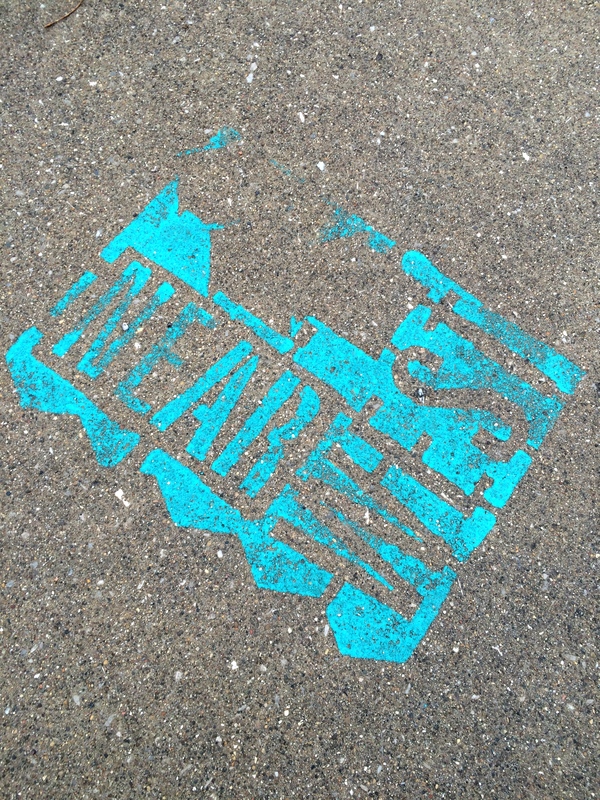 Welcome to the Near West Side! This working-class community saw many changes over the years, some good and some bad. Though population diversity welcomed character and variety to the area, it also brought divisiveness, as socialists and Catholics, Poles and Germans, and dozens of Protestant denominations lived in close quarters. The Great Flood of 1913 displaced many families, when homes built near the banks of the White River were swallowed up by the rising waters, but in the 1920s, schools, roads, libraries, and fire stations sprang up among industrial plants and small businesses. In 1923, a few acres of land behind Nathaniel Hawthorne School 50, which used to be a cow pasture, was set aside as a community park. Businesses thrived during times of economic prosperity, but well-paying manufacturing jobs disappeared during the Great Depression. During World War II, employment was once again plentiful and, for the first time, people of color found jobs in the local foundries. Fearing declining property values and growing racial tensions, many homeowners moved to the growing suburbs, selling their houses to unscrupulous landlords who allowed the properties to fall into disrepair while renting them to local factory workers. 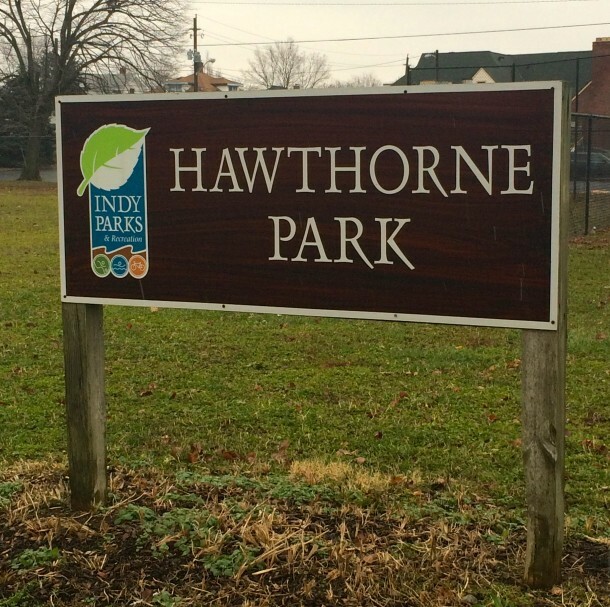 Among its amenities, Hawthorne Park has a playground, picnic shelters, and basketball courts. 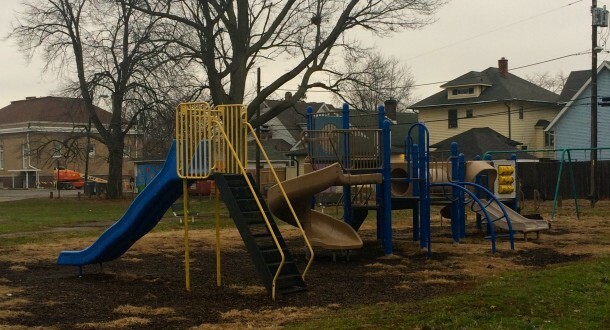 Located at 2404 West Washington Street, Hawthorne Park’s 3.6 acres feature playground equipment, baseball diamonds, basketball courts, picnic tables, mature trees, paved walking trails, and solar trash compactors. 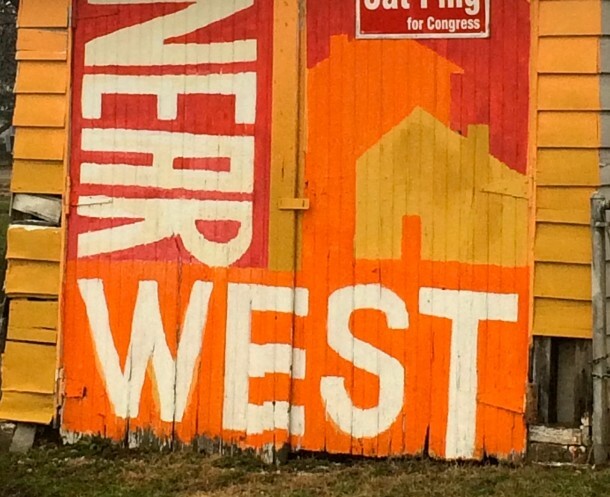 Homeowners living near the park have painted their sheds and garages with colorful murals, showing their neighborhood pride. 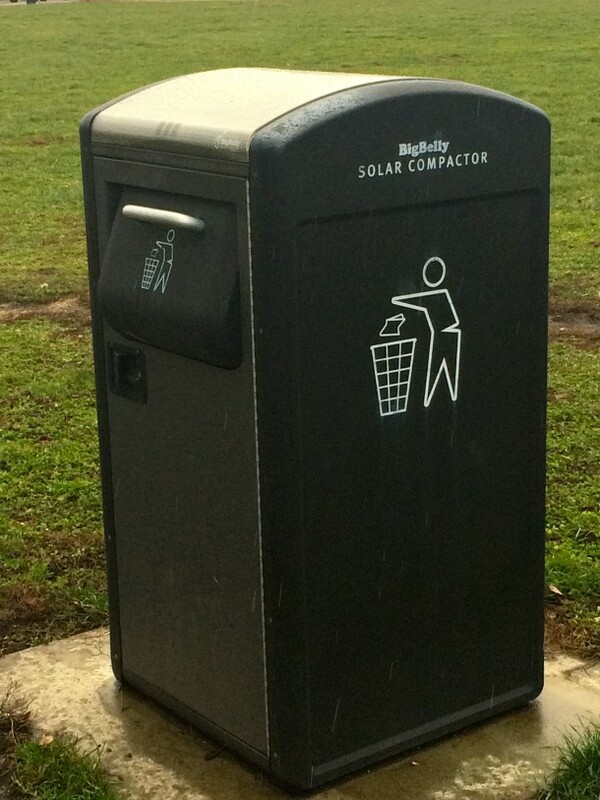 Hawthorne Park received some upgrades in 2013, including solar trash compactors. Though the Near Westside has seen its share of ups and downs throughout the years, the institutions at the heart of the neighborhood—schools, churches, community centers, and parks—have remained steadfast fixtures in a changing landscape. You can read more details about the Hawthorne neighborhood in a 2013 HI Mailbag article by clicking here. Thanks for the article, Gwen Sunkel.